Thirty-three Lake Homes Realty agents were honored with a Premier Agent designation during the brokerage’s 2017 Agent Summit, held Oct. 17-20. The designation was awarded to Big Wave and Aqua Award recipients from across eight states, and nearly 25 lake real estate markets. Lake Homes Realty’s Big Wave Award is presented to agents who have obtained a total transaction volume of at least $3.5 million up to, but not including, $10 million. Winners of the Aqua Award are agents who have a total transaction volume of $10 million or more. Nearly 100 Lake Homes Realty and visiting agents attended the 2017 Agent Summit. Of these agents, more than 30 received honors. This transaction volume must be obtained within a 12-month evaluation period. For 2017, this evaluation period was from Sept. 1, 2016 through Aug. 31, 2017. Referral transactions are not included in determining the winners of company’s Big Wave and Aqua Awards. The Aqua and Big Wave Awards, which are presented annually at the Lake Homes Realty Agent Summit, are two of the company’s most prestigious awards. 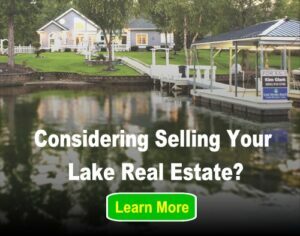 These agents are some of Lake Homes Realty’s best ambassadors, characterizing the business as convenient, attentive, and passionate about finding its clients the lake-area homes they have always dreamed of. With continued success and efforts of agents like those awarded Big Wave and Aqua honors, Lake Homes Realty remains the nation’s largest, lake-area real estate focused brokerage.